www.LICindia.in - Do you have LIC (Life Insurance Company) India's Policy? 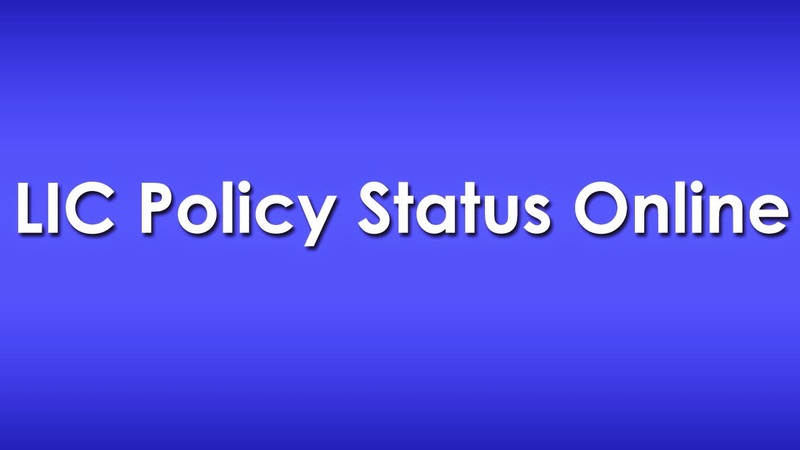 There are Multiple ways you can check status of your LIC policy. One is online via official website of LIC, 2nd is via SMS and 3rd is via helpline numbers (call centre) of LIC india. Yes,now you can check your LIC Policy Status online, via SMS and even via helpline numbers of LIC India. Just check out the below mentioned ways to check LIC Policy online. If you got any query, you can ask below comment box. 1. 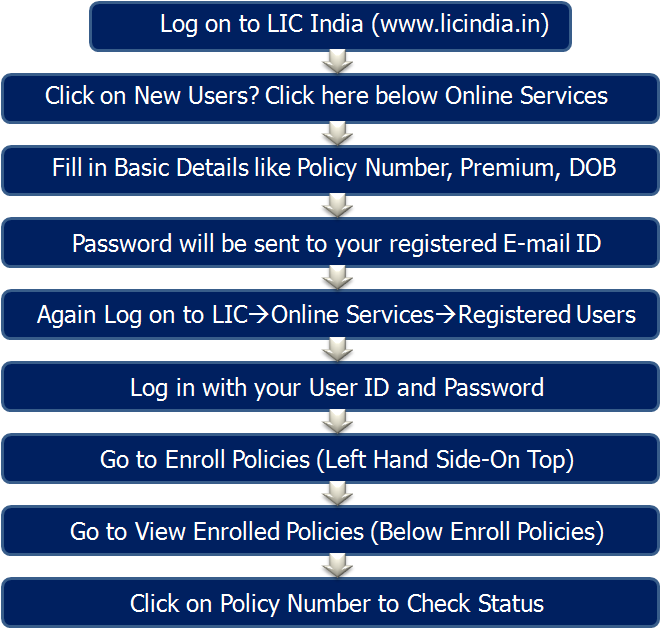 Check LIC Policy Status Online at www.licindia.in,Just follow the steps mentioned below to check our LIC india insurance policy. 2. SMS facility :-Now you can just simply send one SMS from your phone and you will receive your policy status on your mobile phone, instantly. To check your policy status via sms, send SMS at LICPension <Policy No> STAT/ECDUE/ANNPD/PDTHRU/AMOUNT/CHQRETSend To 56767877. Send 'NOM' for – Details of Nomination. If you need more help regarding LIC SMS service, just click here to know full procedure. 3. Via Helpline Numbers - Yes,now LIC provides helpline numbers too, Just get your city's helpline number and contact LIC To know more about your policy. Click here to check Helpline numbers of LIC City wise. You can also take a look at LIC's new policy plan, LIC JEEVAN sangam and LIC Jeevan Lakshya. for more updates on financial planning, keep visiting us.